The Cannon County High School Lions football team took their first step for the upcoming season on Friday. 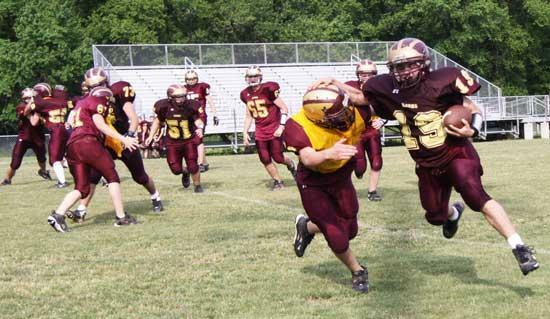 The annual Maroon and Gold game was held at the Cannon County High School Football Field. 20 returning players are the foundation for the defending district champions. As Spring practice comes to a close next week, our Cannon County Lions will host a scrimmage with Sequatchie County. That’s right, Chad Barger will once again return to Fred Schwartz Field to strap it up with the Cannon County Lions. The game is scheduled to begin at 11:00 on Saturday, May 22.